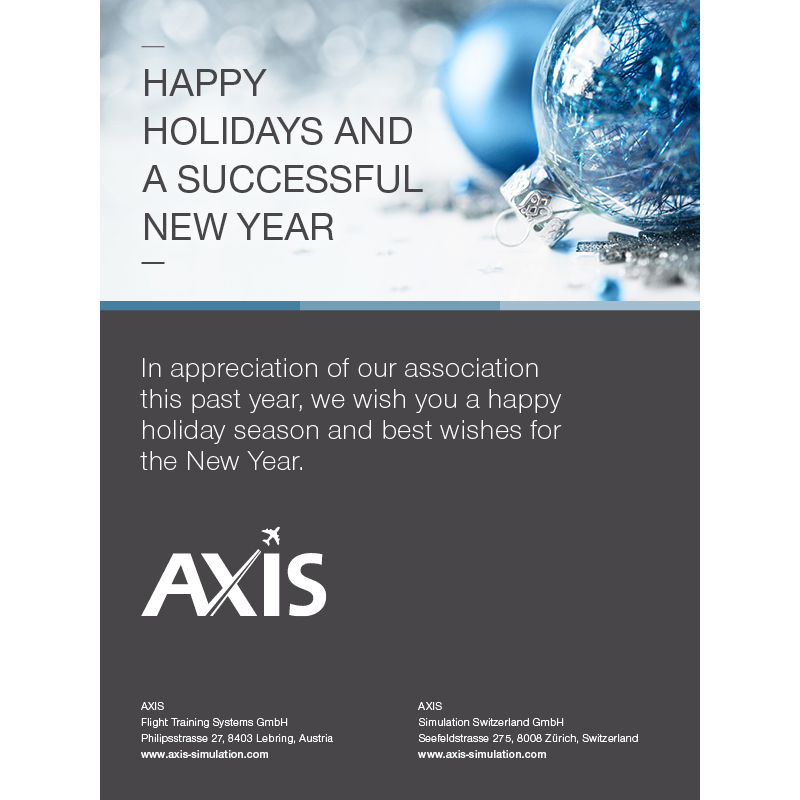 Happy Holidays from AXIS! It’s been a wonderful year for us as individuals, and for the company as a whole. 2018 has been a real growth year for AXIS, with expansion both globally and locally in Austria. Our full flight simulator product line now encompasses a wide range of business and commercial jets and turboprops, ready to fulfil our customers’ ever-changing needs. Our team has also been developing. As an innovative company working on the cutting edge of aviation training, we pride ourselves in searching for and investing in tech-led talent. The overall age of our team is now just over 30, demonstrating our commitment to appointing those with a fresh perspective and newly honed skills. We’re looking forward to another standout year for AXIS in 2019. In the meantime, we wish you the very best for the holiday period.